Deluxe business card holder reinforces your professionalism with an eye-catching design. 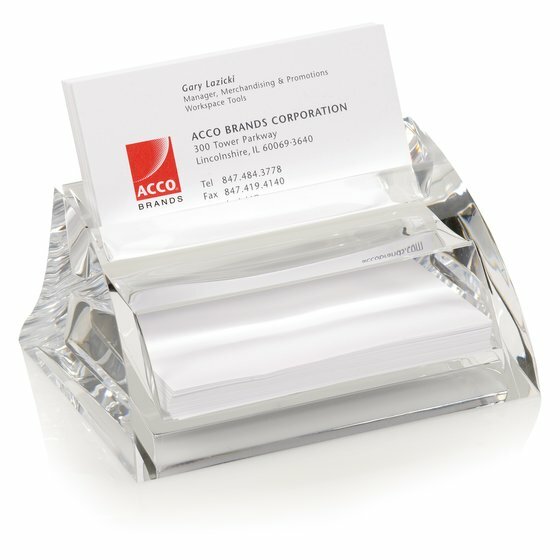 The durable acrylic has a high shine and looks like glass, but is virtually unbreakable. 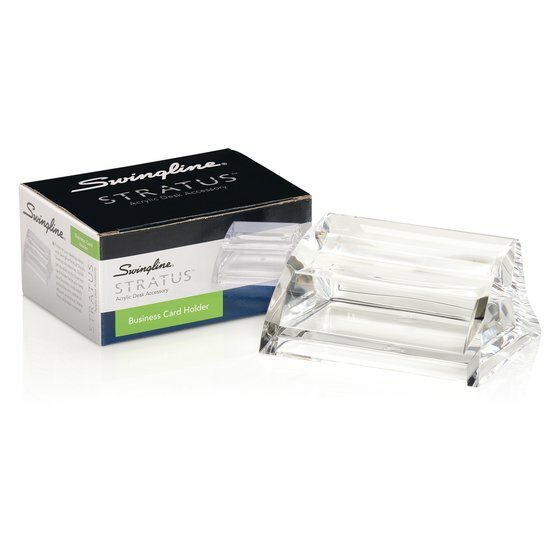 Made from durable acrylic material. 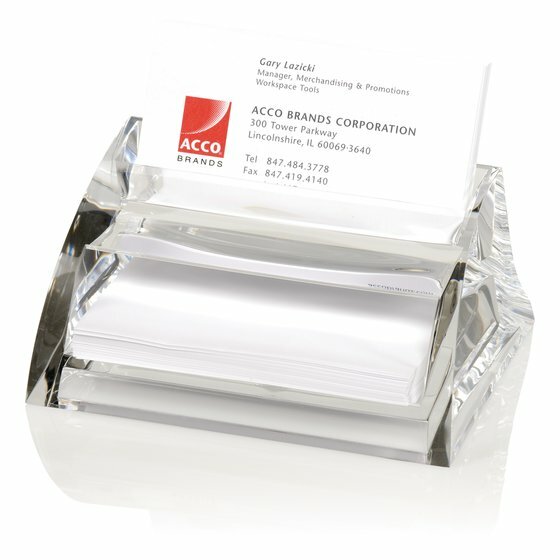 Solid base ensures the card holder stays firmly in place.